If you or a close loved one suffer from the effects of trichotillomania, it is important to remember that you are not alone. People from any social, economic, ethnicity, etc. suffer from trichotillomania. Signs of trichotillomania can be visible as early as infants, but the majority of cases are diagnosed between the ages of 9 to 13. It occurs for both boys and girls in youth, but by adulthood 80-90% of the cases reported were female. 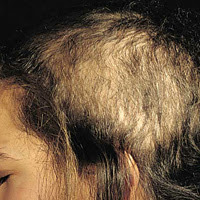 Trichotillomania is an obsessive self-induced form of hair loss due to individuals pulling out of their own hair. 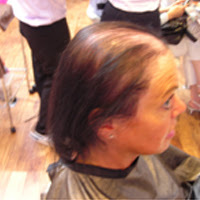 It is estimated that between 2-4% of the population suffer from trichotillomania. Individuals that suffer from trichotillomania have a compulsive urge to constantly pull out hair from common areas including the scalp, arm, hand, and pubic area. This can lead to noticeable hair loss and damage, depression, and social impairment. Unfortunately, there is no known cure for trichotillomania, but there are a number of treatment options that are available. The most effective treatment method is to enroll in cognitive behavior therapy. Cognitive behavior therapy, or CBT, attempts to alter behavior by successfully identifying the exact factors that trigger hair pulling. By learning these triggers, things can be done to either overcome these triggers or avoid them. Trichotillomania can be a chronic life disease, but it also shows up in some individuals and then disappears, usually in a persons teens. If you suffer from the constant urge to pull your hair out it is important to remember that it is not your fault. It does not mean you are weird, or not normal, trichotillomania is a neurological disorder, and some studies suggest that it could possibly be genetic. One of the most common concerns among individuals diagnosed with it is: “will it go away?” With help, trichotillomania can go away. CBT is incredibly helpful as previously listed, and some medications are available. However, it is impossible to know how an individual will react to medication since each person responds differently, but medication is an option worth looking into. One of the other most common questions individuals suffering from trichotillomania ask is, will my hair grow back? In most cases, hair also grows back fully. However, there are some cases where frequent hair pulling can severely damage hair follicles to the point where hair is no longer able to grow there. In general though, you can expect full hair growth, even if it is patchy at first. 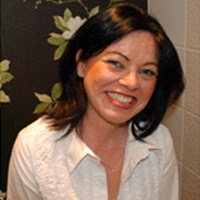 Jenny Ellison is a hair growth consultant at Lucinda Ellery, a premier hair loss consulting agency specializing in thinning hair remedies and treatment.